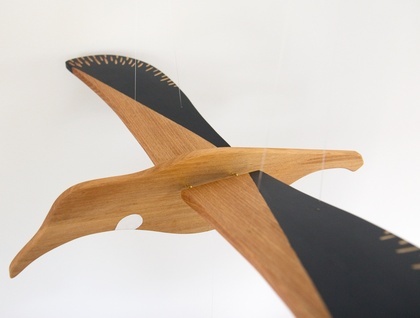 This beautiful flying Tui mobile will never tire of flying! 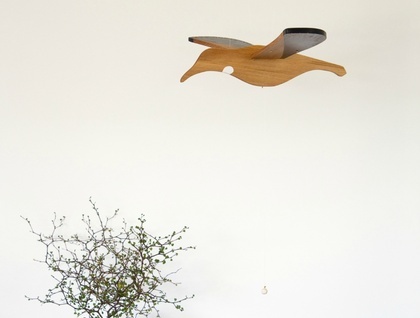 It will fly gently in a breeze or you can set it in motion by pulling a string below. • Made from New Zealand Tōtara and sealed with a natural beeswax polish. 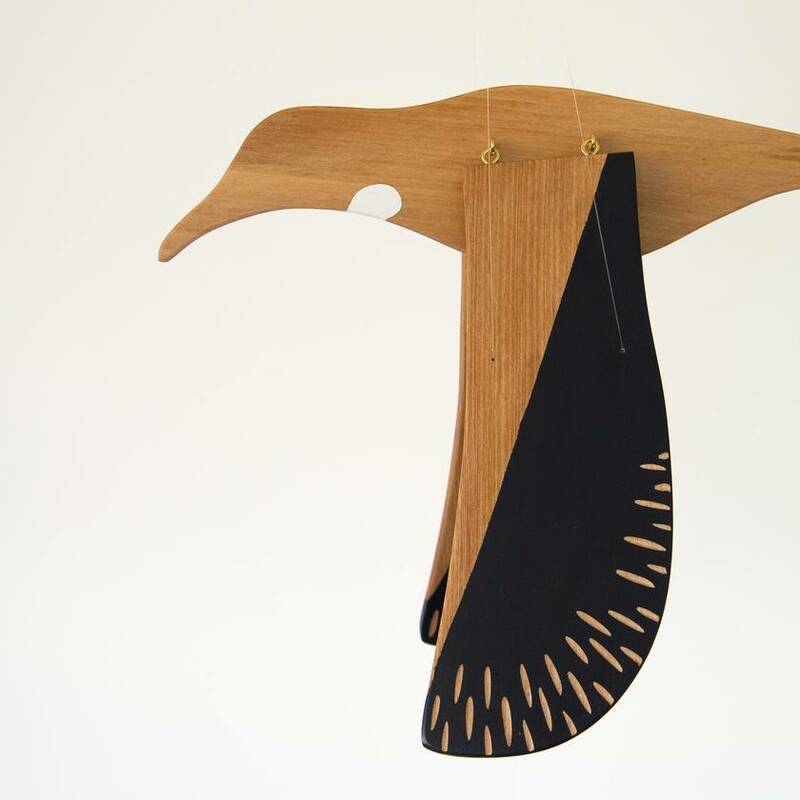 • Bird size: 48cm wide x 31cm long x 7cm high. We handcraft all our products. 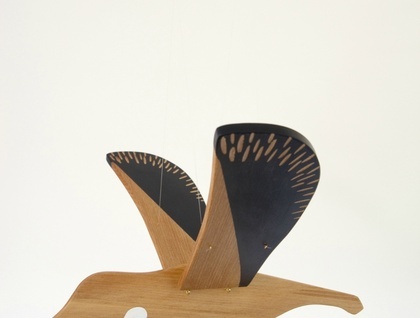 Due to the handmade process and unique nature of the wood, minor variations in design will occur.